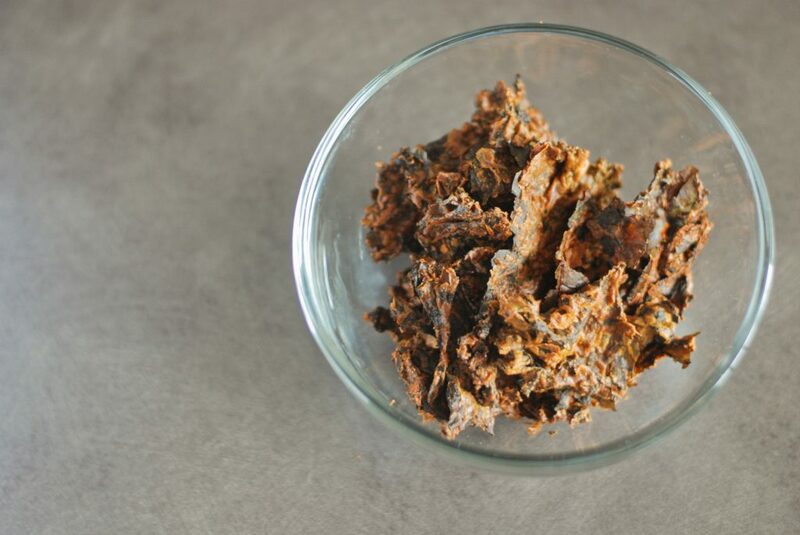 Jalapeno Cheddar Kale Chips may just be the best thing you put in your mouth this month! I'm writing this to you on Thursday, a few days in advance of actually publishing this post, and I'll tell you why. I've decided that this long weekend I am unplugging from technology. No computer. No cell phone (side note: I haven't got my new one yet). No TV. No wristwatch. You'll be reading this while I'm disconnected. Well, if you follow us religiously that is. A friend was talking about just getting away and having a break from the hustle and bustle of life. Check out a cute lil town and have some time appreciating nature. “Yeah! I'm in!” Then I started thinking about how great it was when I was in Thailand to just disconnect for a while and decided that a separation from my phone and computer would be great. I know: it's ironic since I want you to spend time on our site, and explore every nook and cranny of it, tying you to your computer or mobile device. But once you're caught up here, I encourage you to take on this challenge as well. I should have challenged you to do it at the same time as me, but it was a last minute plan. 3-day challenge. “You time”. Time to read, enjoy nature, meditate, maybe try out some yoga or do some artwork? I thought I'd do some investigation (online, of course) about unplugging. Here's a quick video about “looking up“. I found this article called “The Pointlessness of Unplugging” in the New Yorker. I didn't like it. Casey made a lot of points about how technology has interconnected us and our very way of life, which are all valid, but I think she is missing the point. Take a break from your screen and experience a part of life that is almost forgotten by most. She mentions a time that she was unplugged due to travel and finding out about a death in the family a few days later, thanks to email and how thankful she was that she was able to come back for the funeral because of it. Yes, electronic communication is great, convenient, and timely, but I'm only talking about a long weekend. Most of us can't do longer than that due to work. It is a part of our life now. But taking a few days to look up and live now is a great reminder of the things that we miss now more than before we plugged in. Think of it like a holiday from being wired in. She doesn't seem to see that. Of course, when you return, you're going to get caught up, but that doesn't mean you didn't benefit immensely from taking that break. Haha, funny, sad, and true: Tell me what you think about this video which illustrates why a reminder of what life away from our phones can offer. I think Joshua really nailed it in this article providing some interesting stats and thoughts to contemplate about benefits of taking a technology break. Remember that before cell phones, email, and instant messaging, we survived. A lot of people even thrived. Imagine! The thing is, we don't need cell phones. It's a hell of a lot more convenient, but with a little planning, you can actually function just fine. I gave an emergency number to the people who might need it. ***Awe man!!! I just made this challenge a billion times more difficult: remember how I was talking about getting a new phone? I just negotiated with my service provider a deal that I'm comfortable with and can get the new Samsung! Good thing I'm taking this weekend off, cause I will be glued to that new device for a solid week, I'm sure! I need to go outside and enjoy the sun. I'll tell you about my unplugging experience next week (i.e. in a couple days). 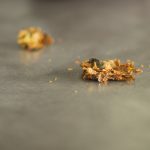 Oh, and share this snack with someone important to you, or someone you want to get to know better in person (but feel free to share the recipe online!). 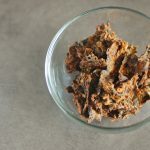 Join the discussion: leave some thoughts in the message section below, while you wait for your Jalapeno Cheddar Kale Chips to crisp up. 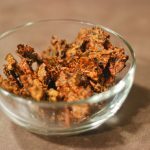 Wash kale and rip off stiff stems/veins. Use your hands to coat well. Spread on cookie sheet in a thin layer. Don't let ANY go to waste! Preheat oven 200 F or 250 F. Alternatively, this can be done in a dehydrator (check individual unit's instructions for cooking details). Soften almond or cashew butter in microwave. 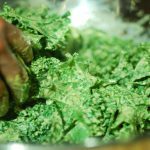 Using a blender, combine all the ingredients except the kale. 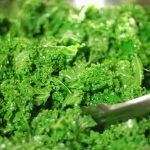 Wash and tear kale into large chunks, then dry in a salad spinner or on dish towels. Put into a large mixing bowl and add sauce. Mix well (use your hands to really get it done). Cover 2 baking sheets with parchment paper. 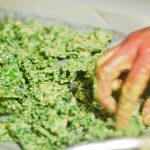 Lay the kale in a single layer on the sheets. Bake for 1-2 hours (depending on oven) until crisp. ***These are not your quick chips. Because of the coating it takes longer to get these nice and crispy, so plan ahead. You can also do these in a dehydrator, which I have no experience with yet, so check your machine for instructions.